07.28.08 We've selected nearly two dozen games from the 2008 ChessMaine.net Championship played in June at Colby College in Waterville, Maine. These games are from players with ratings USCF 891 - USCF 2123, as such, they represent wide cross section of playing strengths. We hope you enjoy the games! 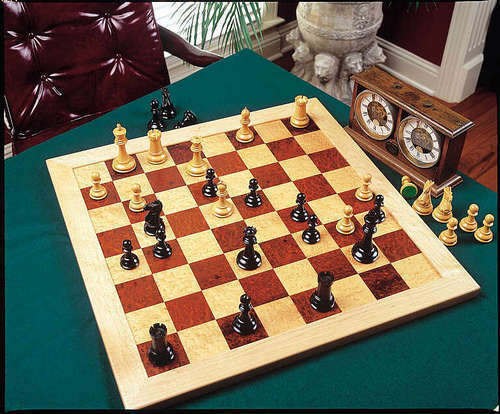 Hi Dan: In my game with Matthew Fishbein, I missed a winning position on my 17th move. It might be instructive for anyone to look at that position to see the winning move. I either mate or gain a piece. Matthew played a great tournament. Thanks for all these games. I really like playing them out.